This Halloween craft is just how I like all my projects to be, cheap, quick, and simple. 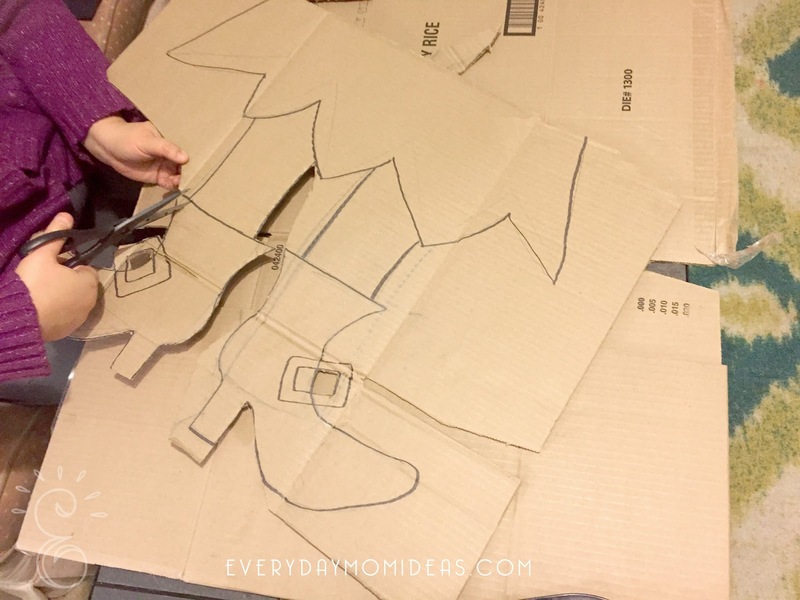 Using cardboard really cuts down on cost but keeps your decoration durable enough to last years to come. 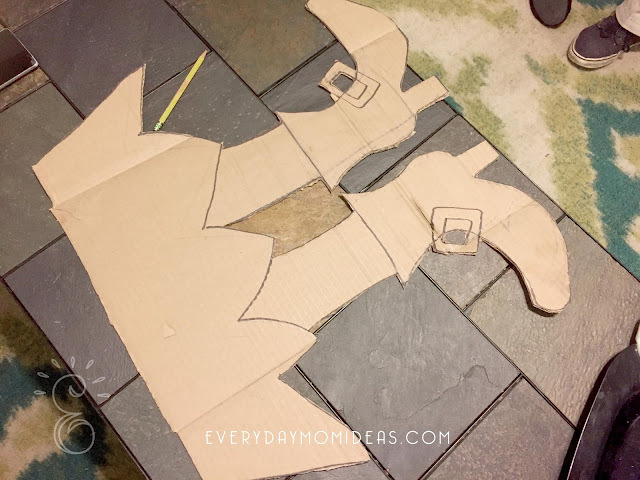 I use a lot of cardboard with my holiday decorations because they are easy to store for next year and I don't have to have special tools to use this kind of material for my crafting projects. 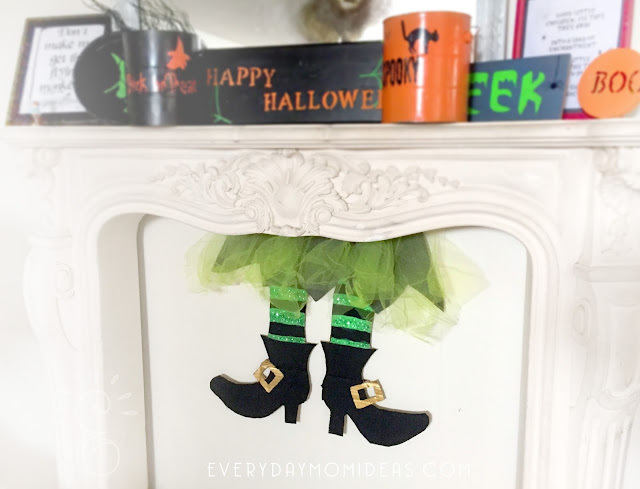 These Fireplace Witch Legs didn't cost me a cent to make. We just used what we had laying around the house. You just need a few simple things to make this craft. In the past I have just used a strong pair of scissors or just my kitchen knives to cut out my cardboard shapes. A razor blade tool can be nice when dealing with the smaller corners and cutting out the belt buckles. Keep your design easy to work with by using simple shapes. Once you have everything cutout it is time to paint. I like to use both matte paints and metallics to give it that extra special touch. Depending on how much you use, craft paint needs about an hour or less to fully dry. Once its dry you can add extra little details like glitter stripe tights and so on. Adding the skirt detail is easy. To get a nice triangle edge for your skirt simply use pieces of fabric cut into large squares. 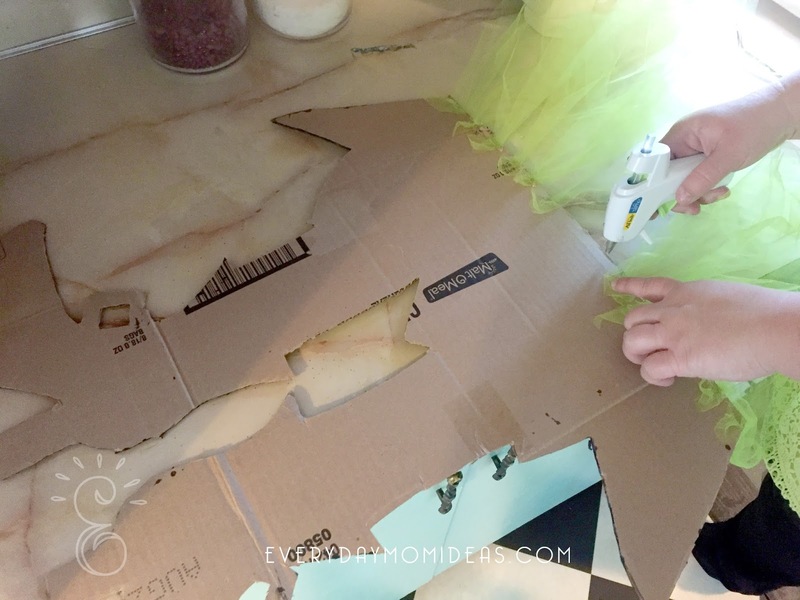 Hot glue the tips of each square to the back top of your cardboard. Once all your fabric is glued on to make a full skirt, you just flip over the fabric for a seamless rag skirt look. I used green tulle for my fabric but different scraps of fabrics would look great too. If you have a fuax fireplace mantle like mine just use some tape and tape it to your wall just tucked under a little ways to give it an appearance of disappearing up the chimney. 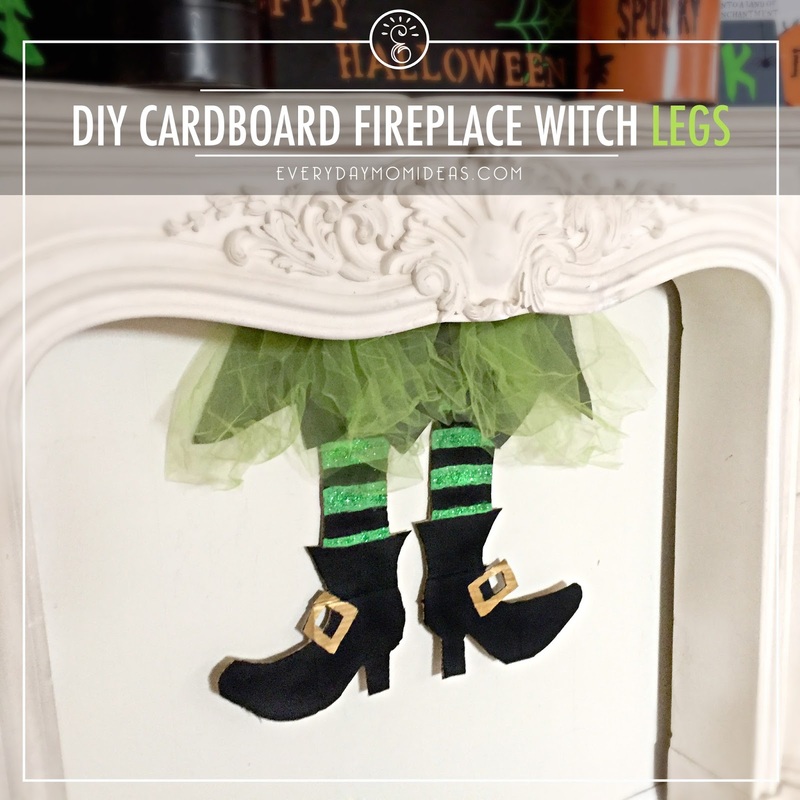 If you have a real fireplace attaching the legs might be a little more complicated. Let me know if you have any questions. And please post your pictures of your witch leg craft to my Facebook page here. I would love to see your creations! Thanks so much! Im glad you like it! Those are so cute and don't seem to hard to make. Thanks for sharing this.